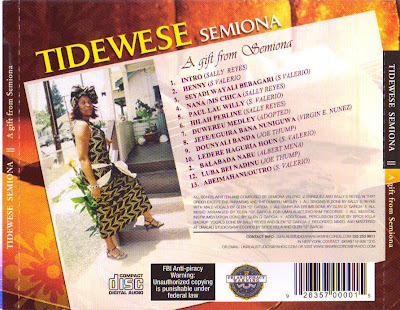 This CD is a gift to the Garifuna culture from Sally Enriquez Reyes in memory of her mom, Semiona. Sally Reyes comes from a family of composers and singers of traditional Garifuna songs. Her mom composed many of the popular Garifuna songs that are featured on the CD. Her sister, Virgin Enriquez, and her nephew, Garif, also are composers and talented singers. These songs are classics with deep meaning and great drumming and singing. Seremei Sally hisieti CD le nu. Keep it up!! 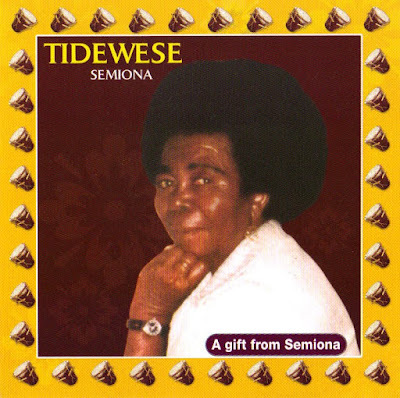 Tidewese CD is available for purchase. The price is $15.00 and it includes shipping and handling. Congratulations to this lady. I just can imagine how hard she worked on it. Wish I could buy a copy because of the love of Garifuna music, but unfortunately I am unemployed at the moment. All my Best to you Ms.Sally! !